Adventure-seekers living in Maharashtra have plenty of adventure sport options to choose from around the year. 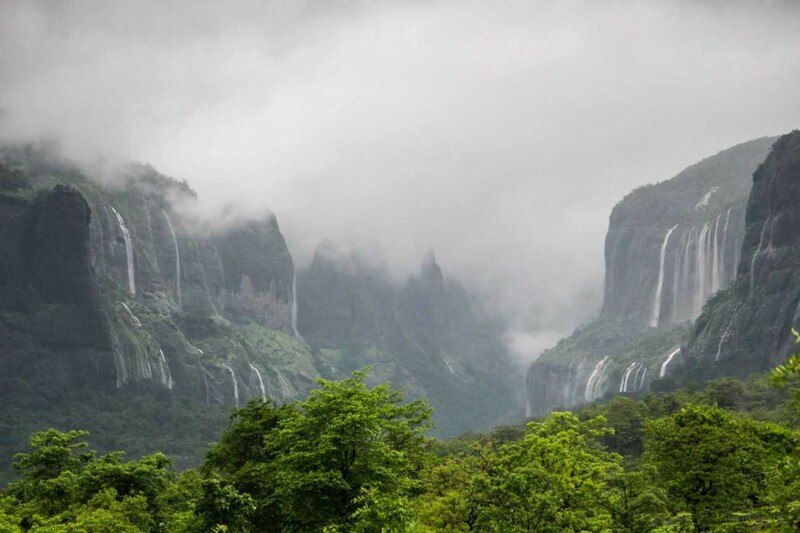 The sprawling Sahyadris offer thick forests to explore, rivers and waterfalls to splash in, rock faces and boulders to clamber over, and ancient forts to trek to. Trekking in Sahyadris takes you to peaks with spectacular views of the surrounding ranges and valleys. Here are some of the top treks in Maharashtra. Kalsubai Peak, at an elevation of 5400 feet and with the title of ‘the Everest of Maharashtra’ is one of the tough treks in Maharashtra. It is a thrilling trek, especially when the rain clouds unleash their fury on the land below. The rocks are covered in moss and water streams by on the trekking path, making the ascent quite tricky. You will cross beautiful streams and pools, and see picturesque views of valleys and surrounding peaks. This is one of the top treks in Maharashtra for those looking for a fun challenge. The Andharban trek takes you deep into a valley in the Tamhini Ghat region, where the tree cover is so thick that the forest is always dim. For this reason, and because it’s a full descent trek, this is one of the top treks in Maharashtra. Along the route, there are waterfalls and natural pools to jump in, all kinds of birds to see, and rare butterflies to spot. The Devkund trek is an ideal place for photography, for swimming in the pool, or for exploring the area around. It takes about 2 hours to trek from the base village and through the forest to reach Devkund waterfalls. You will be able to observe the life of the locals at Bhira village and take in how they live. 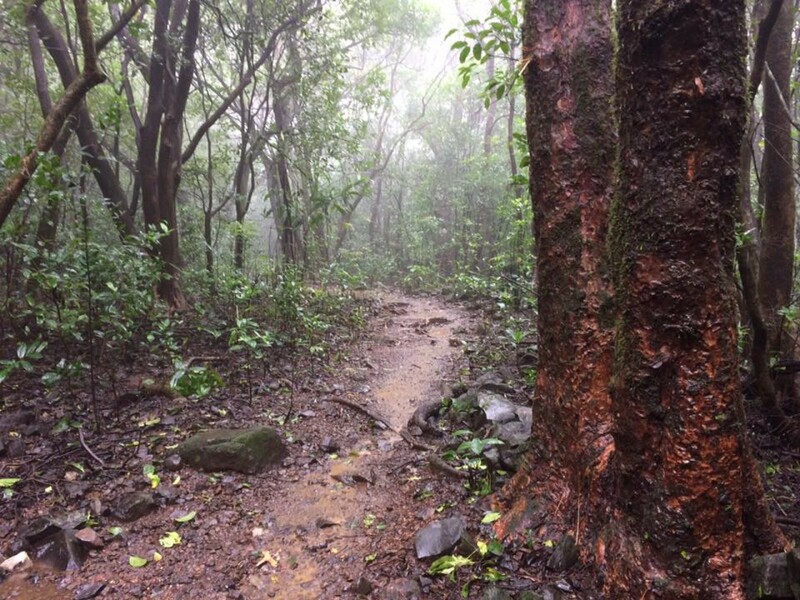 Its not a difficult trek but the trail does get a bit slippery during the monsoon. 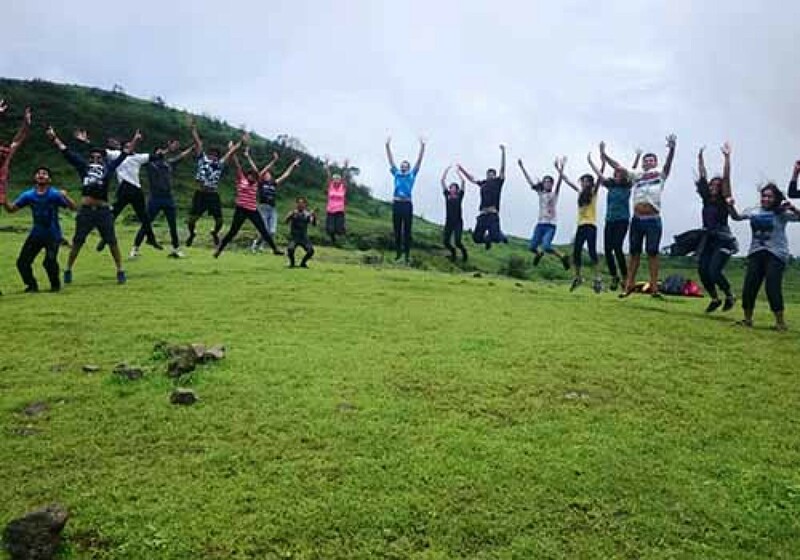 Visapur fort is the sister fort of Lohagad, and is considered an easy trek, especially suitable for beginners and families. It rises to an elevation of 3500 feet, and is close to Lonavala. The fort was built by the Peshwas in the early 1700s, but is not as well preserved as Lohagad fort. However, the trek is fun and offers great views, making it perfect for a quick weekend getaway from Mumbai or Pune. 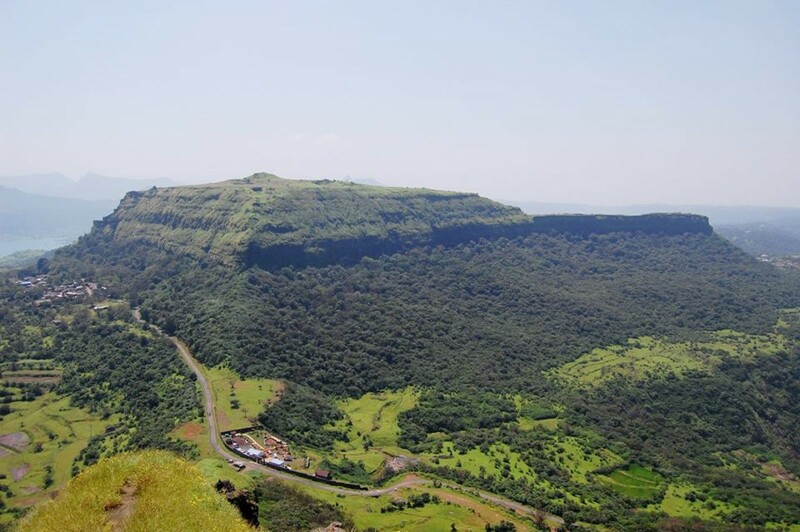 Lohagad or literally the iron fort is one of the most popular top treks in Maharashtra. This easy trek is perfect for beginners and nature enthusiasts, because it takes you through rain-drenched trails with streams running across, over slippery rocks and up to the misty fort at the top. The main attraction of this fort is the famous Vinchu Katta (Scorpion tail), as it resembles the tail of a scorpion. The tail is roughly 2 kms in length and the view from the top is captivating! When you’ve completed the easy treks in Maharashtra, you’ll be ready for the Prabalgad and Kalavantin trek. You’ll trek up to the Prabal plateau, which is a fairly easy and scenic trek in itself. You can rest at the plateau and admire the views for a while, but after that, the fun really begins. Kalavantin Pinnacle is an almost 2000-foot tall sturdy rock spire that reaches upwards to the sky, with narrow steps leading to the top. There is no protection and no railings, which means full exposure to the elements. There are several rock patches that can get very slippery and tricky to navigate, but getting to the pinnacle is a real thrill. 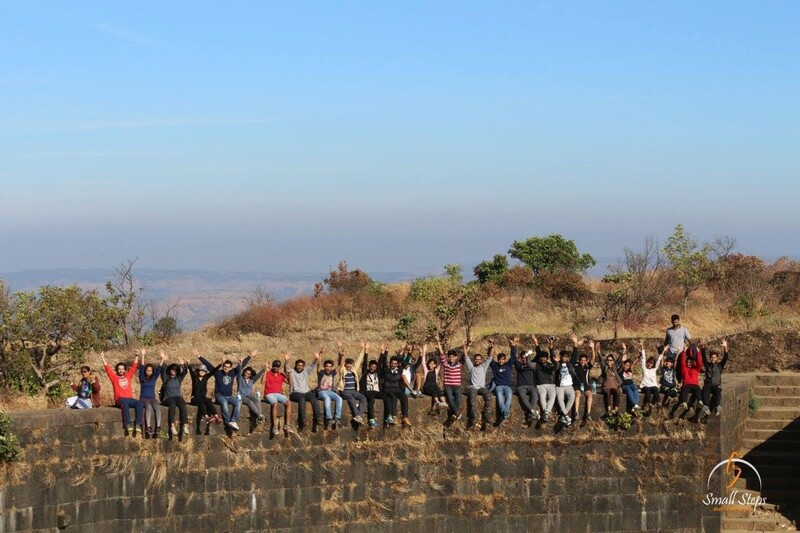 This is one of the top treks in Maharashtra for those who are seeking a fun challenge. The Rajmachi trek is one of the top treks in Maharashtra, especially in the monsoon. You’ll be able to revel in streams, waterfalls, and lush green paddy fields, through the rain-drenched forest. There’s plenty to explore, from historical water reservoirs and ruins of forts, to ramparts and gateways. If you’re staying overnight, you’ll also get to camp 3000 feet above sea level. The trail will really test your endurance, so is better for those with some experience, or at least fit beginners. Sandhan Valley is one of the top treks in Maharashtra, because it takes you through a 200-feet deep valley in the Sahyadris. The immense walls of the valley restrict the amount of sunlight that reaches the inside, so it is also nicknamed the Valley of Shadows. This counts as a tough trek in Maharashtra if you attempt the full descent, but you’ll get to rappel down from craggy rock faces, take dips in clear natural ponds, and camp in the valley at night. This is one of the tough treks in Maharashtra, because it takes you to three different forts across a span of 2 or 3 days. You’ll walk through a densely forested trail, scrambling over rocks and boulders, and sleep in caves at night. There are some steep sections on this trail, and long hours of trekking. 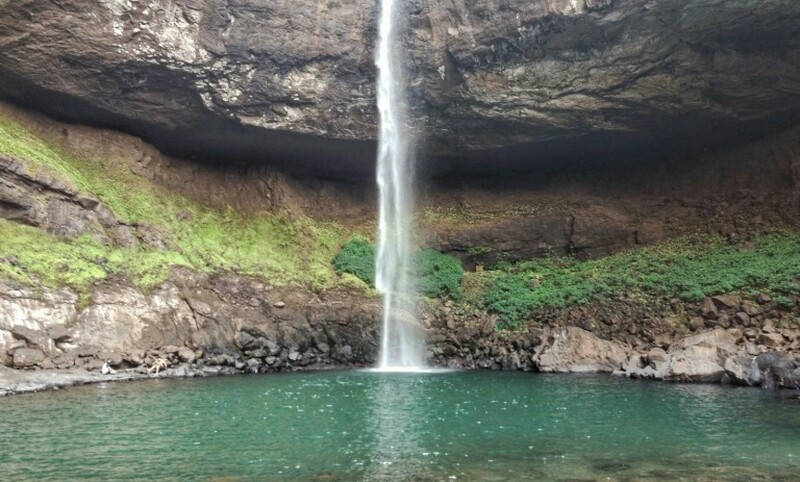 But you’ll find the ruins of ancient forts, natural water bodies, gorgeous sunrises and sunsets, and mysterious caves, making this one of the top treks in Maharashtra. Harishchandragad is one of the top treks in Maharashtra because it takes you to the famous Konkankada, a cliff shaped like the hood of a cobra. Most experienced trekkers yearn to complete this trek and see the cliff. If you’re looking for a challenge, this is one of the top treks to pick, because it requires you to negotiate boulders and clamber over rocks. While other treks in Maharashtra take you through lush greenery, the Harishchandragad trek takes you over rocky patches, steep inclines, and some scary drops. Get scenic of the Saptatirtha lake and the Kedareshwar temple.